Moroccan culture is known for its colourful embrace of celebrations. 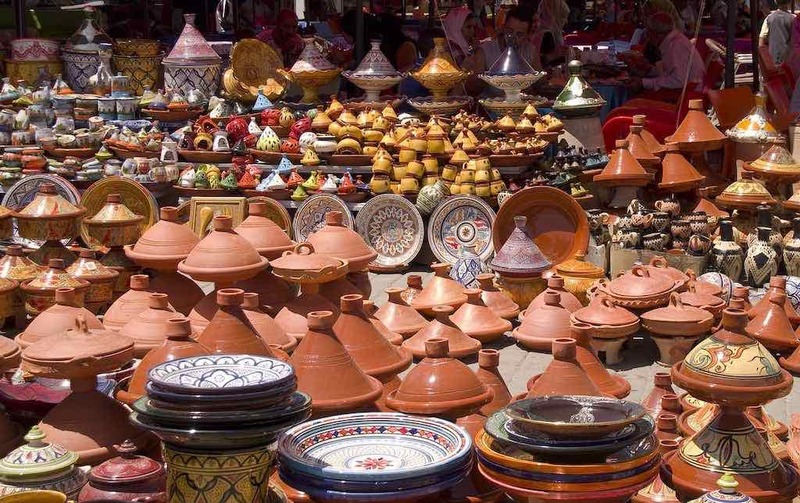 From art and music to food and sports, Moroccan communities are rife with gloriously organised events and festivals.Throughout the year, there is always the opportunity to explore and celebrate some thrilling historical, cultural, or religious traditions. 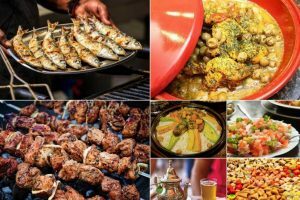 So if you are looking for a good time or just feeling adventurous, here is a list of some of Morocco’s top events and festivals you can attend. 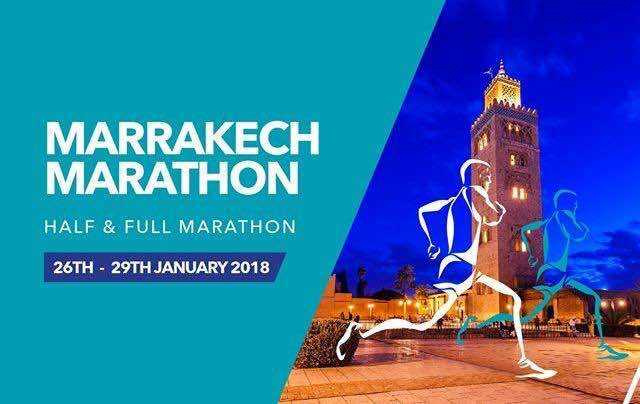 Because the Marrakech Marathon holds a worldwide prestige, it drives in over 8,000 people looking to grace the marathon, annually. From a picturesque standpoint, the city of Marrakech—one of the fastest growing tourist destinations in the world—offers resplendent routes for runners to wind through. A lining of ancient city walls and vegetation of palm, olive, and orange trees will grace the scenery. As the event takes place around the soothing Moroccan January, the climate is just perfect for a run. March promises two major annual Moroccan events. However, in terms of first-hand nomadic cultural experience, it’s the International Nomads Festival hosted in M’Hamid El Ghizlane—a small town 60km south of Zagora—that takes the cake. 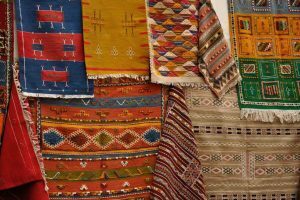 As a free and open-air event that celebrates the spirit of nomadic culture, International Nomads Festival provides a showcase of handcrafts, music, poetry, storytelling, and dance from artists in the local, national, and international sphere. With also the promise of traditional dishes and sports, this festival offers the full experience. 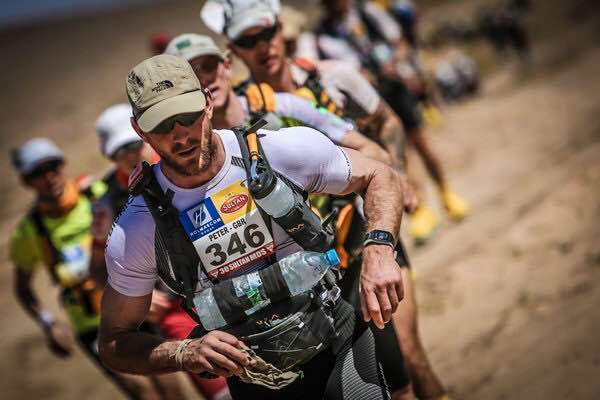 Although April carries a cultural mishmash of events, one of the most important event during this month is the Marathon des Sables (The Sand Marathon). Although not a Moroccan festival like the others, this special annual marathon across the Sahara Desert remains the most challenging foot race in the world. The 6-day event covers a distance of 251km (156mi). And if you are up for a challenge, be sure to quickly sign up, as applications are sure to always fill up. 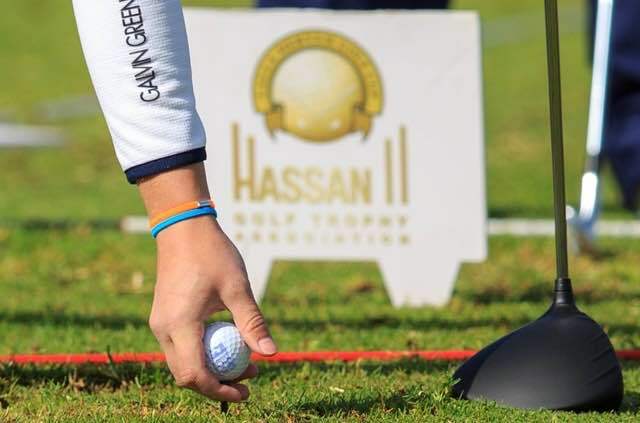 The Hassan II Golf Trophy is hosted by His Royal Highness Prince Moulay Rachid in Morocco. The tournament has taken place since 1971 but there were several years that it did not take place including from 1986 to 1990, 2005, and 2009. Then, in 2010 it was returned as a European Tour. 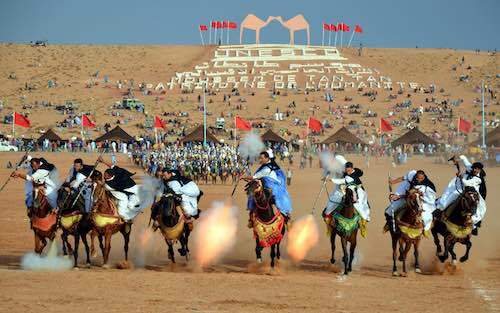 And if you are not the “running across the Sahara” type, there are plenty of less physically demanding April festivals. 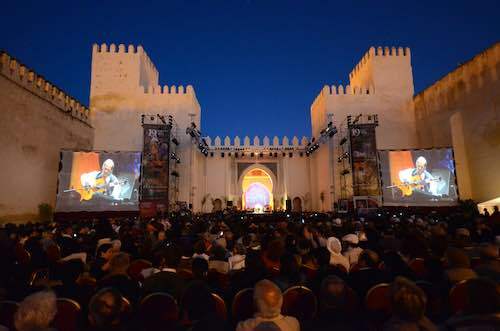 You should consider the 8-day Sufi Music & Cultural Festival hosted annually in the grand city of Fez. 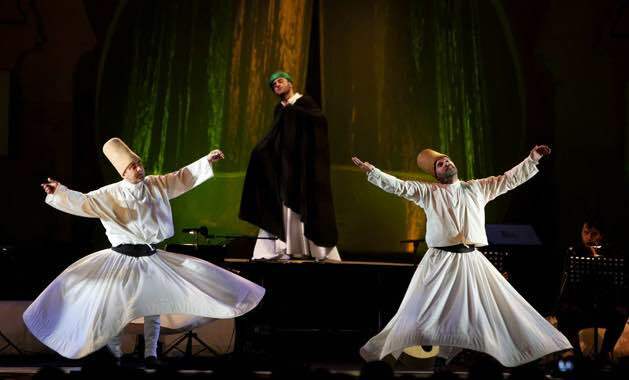 If you want a taste of Sufi music and spirituality, the festival amasses Sufi religious leaders and an international display of artworks, films, poetry, music, and dance. Marrakech Grand Prix is a world touring car championship which takes place on a Marrakech Street Circuit. 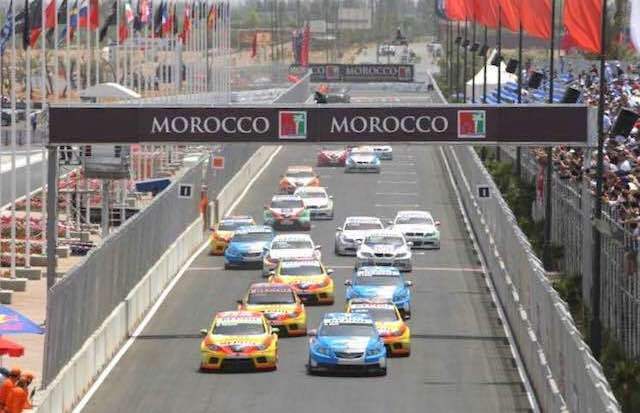 It first took place in May 2009 and was the first international race in Morocco since the Moroccan Grand Prix at the Ain-Diab Circuit in Casablanca in 1958. This race was originally scheduled for the season opener in 2014, taking the place of the FIA WTCC race in Italy. 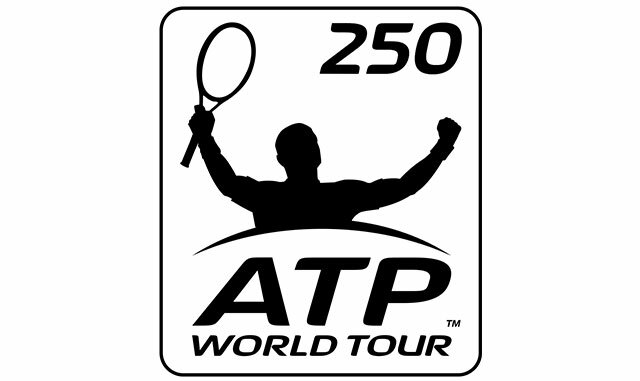 This is the annual men’s tennis tournament on the ATP Tour and presently is a part of the ATP World Tour 250 Series. This tournament originated as an ATP Challenger event in 1984 and then as an ATP World Tour in 1990. Hicham Arazi (1997) and Younes El Aynaoui (2002) are the only two Moroccans who have won the title in their home country. The event was originally held at the Complexe Al Amal in Casablanca before relocating to Marrakesh in 2016. Between 1984 and 1989, it was a part of the Challenger Series but now is the only ATP event held in Africa during the month of April. 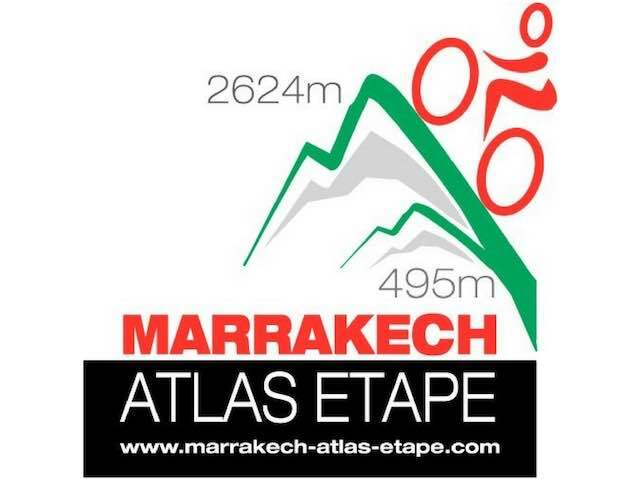 This annual cyclosportive starts off in the city of Marrakech and travels up the Atlas Mountains to a ski-resort and then back down once again. This is a great challenge for all serious amateurs and professionals and there are several routes to suit everyone’s different capabilities. This is the most popular rally-raids or cross-country event in Morocco. It’s a long distance off-road race that takes place over a number of days and may require travelling up to 900km (560 miles). 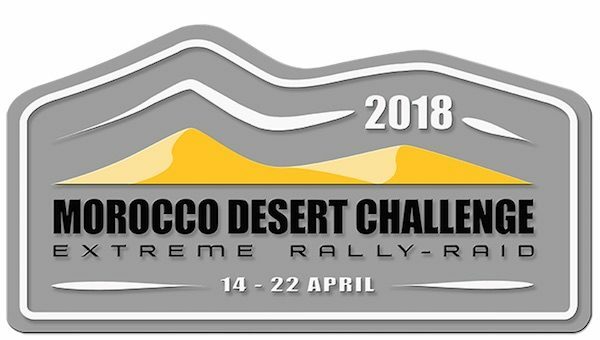 The Morocco Desert Challenge is the largest cross-country race and the categories motor and SSVs were fully booked 2 weeks before the last registration date with 60 and 30 participating teams. Since 2016, the race has been coast to coast, crossing almost the entire country of Morocco. 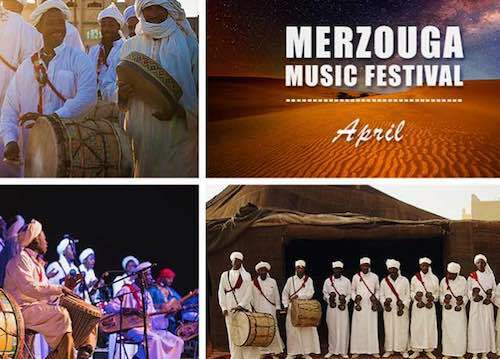 The Merzouga World Music Festival holds sway around mid-April. Hosted among the graceful dunes of Erg Chebbi, the one-of-a-kind festival simply serves as a medium for cultural exchange. As musicians, featuring artists, and dancers from all over the world will perform within the magical scenery, don’t forget to bring your kids, as the festival also provides some sporting activities children will enjoy. The Tan Tan Moussem festival reveals a slice of tasteful Morocco’s tradition. Up to 30 southwestern Morocco tribes and some tribes from northwest Africa will come together to exchange stories, worship, dance, and of course indulge in camel racing competitions. Throughout this period, several events are assigned for your pleasure. You can enjoy the Fantasia and Poetry contest, watch popular Moroccan artists perform, or see a dance to tribal beats by the Sahrawi and Berber tribes. Also, the Tan Tan Moussem offers horse and horse breeding competitions, wedding celebration, and herbalist consultation. 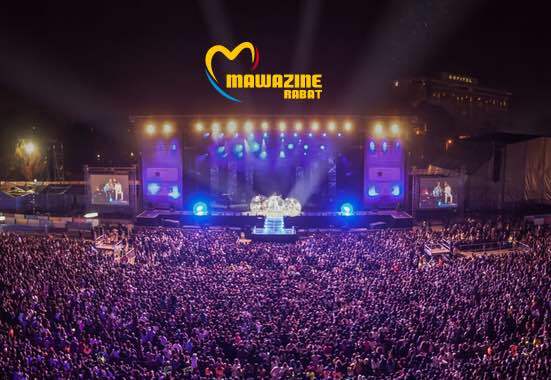 The Mawazine (Rhythms of the World) is a more modern festival hosted in the picturesque capital city of Rabat. With past headliners ranging from Elton John, Kylie Minogue and Whitney Houston, its eight stages bring together the world’s best talents. 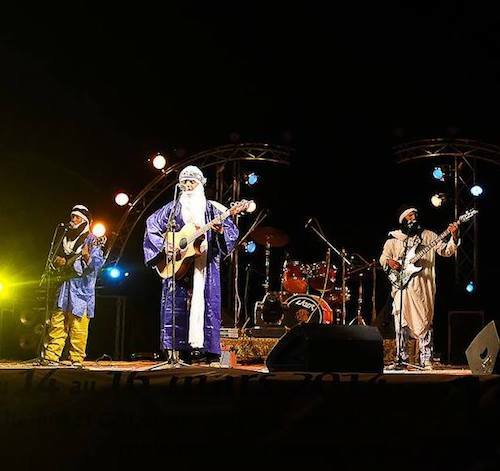 The festival also features more and more Moroccan artists, offering them a big career break. 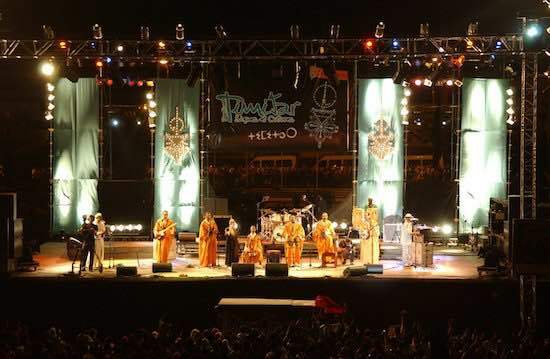 Annually hosted in the sweet seaside town of Essaouira every June, Gnaoua World Music Festival is a multicultural festival like no other. The four-day festival highlights the heritage and ancestral contribution of Gnaoua people worldwide. 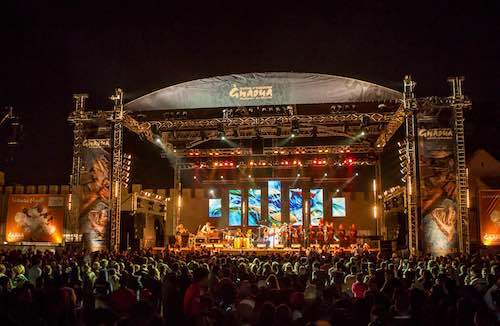 About half a million attendees will revel in musical and dance shows, engage in open debates and connect with the performing artists in a more intimate and warm environment. Fez is the host of the weeklong Festival of World Sacred Music, one of the most country-famous festivals mixing scholars, musicians, and art enthusiasts from every corner of the world. Featuring a debate forum, free concerts, and a film festival, World Sacred Music is non-stop with activities. Eclectic summer festivals are the bubble of Moroccan coastal towns. 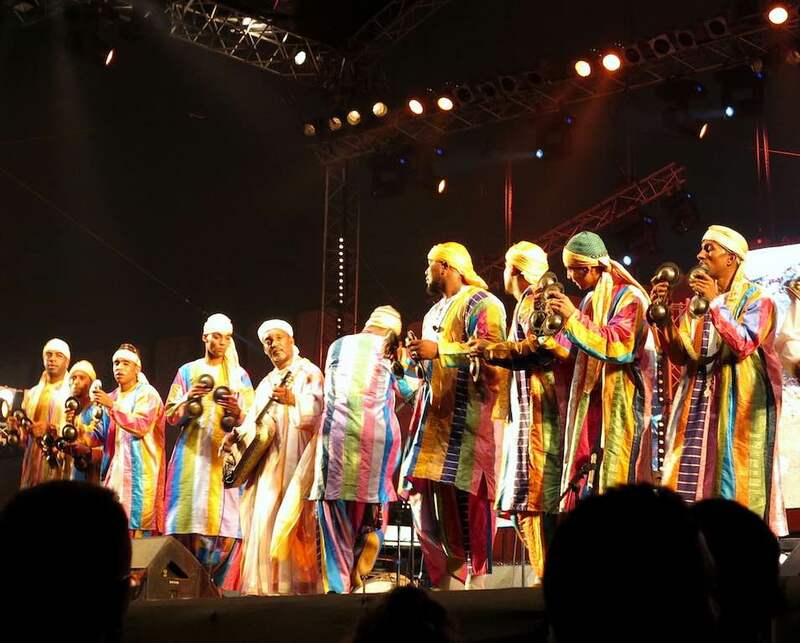 The famous Timitar Music Festival, hosted in Agadir, is a premier African music festival featuring more than 40 international artists to celebrate Amazigh culture. Blue-washed and charming, Chefchaouen is a town of neat beauty and is also the host of Alegria, a two-day event that celebrates diversity and culture. From local talent shows and musical performances to delicious traditional foods and photography exhibitions, the streets of Chefchaouen will be swarming with the showcase of exquisite cultures from Morocco and around the globe. Tangier comes alive annually in early September for the Tanjazz Festival. 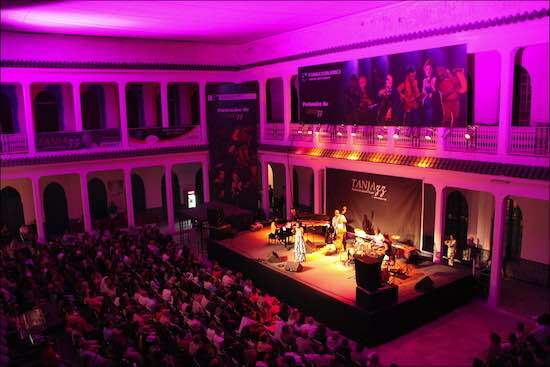 During the three-day event, Tanjazz provides a stage for up-and-coming and famous musicians to blaze the streets of Tangier with good music. 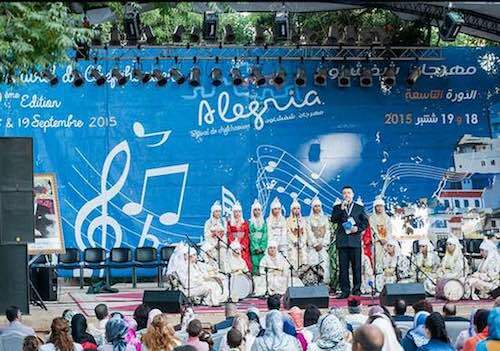 In addition, there are singing and dancing workshops you can participate in at various locations in Tangier. 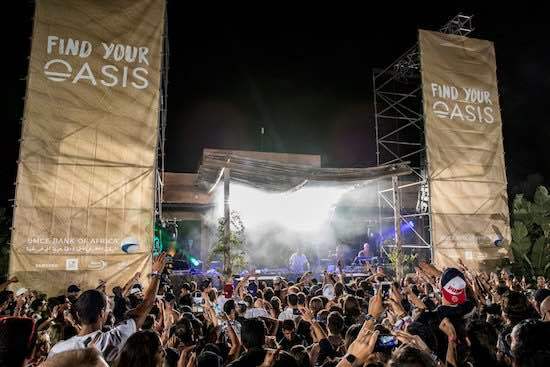 Hosted near the historic and vibrant city of Marrakech, the Oasis Festival promises a destination festival with an intimate feel. In Oasis, you will be treated with the best of up-and-coming electronic talents. Moreover, apart from enjoying the purposefully built site for the event, expect mild weather and perfect programming that set a splendid standard for Morocco’s growing festival scene. For lovers of equestrian events, Morocco Horse Festival has grown to remain one of the top breakout horse show in the European and North Africa region. 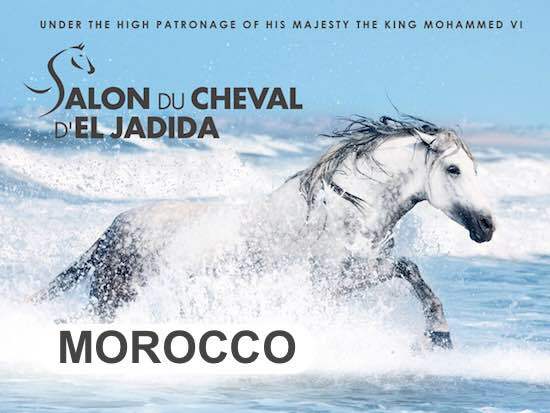 Deep the heart of the Moroccan equestrian calendar, the festival boasts of acres of showground and exhibition space. A fair where a passionate heritage is shared by international competitors, state bodies, businessmen, and the public. 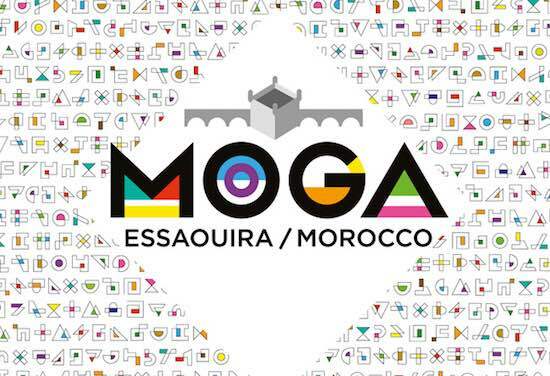 Debuted in 2016, MOGA, an Essaouira-held electronic music festival, is bustling with a taste of modern Morocco. By purchasing a ticket, you can enjoy daytime events ranging from beach parties to musical brunches to digital video installations—or rock with nighttime delights of a star-loaded lineup of Africa’s top electronic music artists. 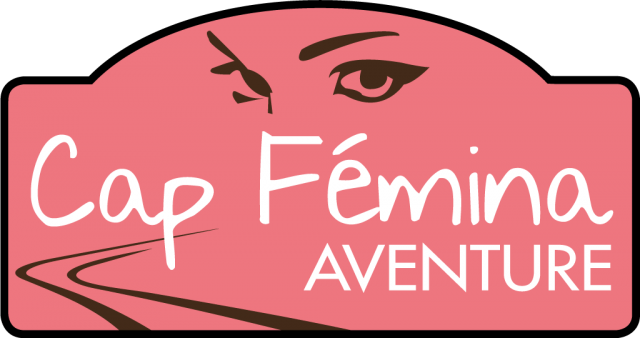 Cap Fémina Aventure is devoted to women and takes place from Villeneuve lez Avignon to Morocco. This rally-raid is based on the idea of sharing and the discovery of Morocco in a different way which is seen beyond borders. Along with the challenges of the event, the solidarity actions and meetings take place during the middle of the event. This adventure is based on human values that allow for more than just sportswomen competing for the best classification. 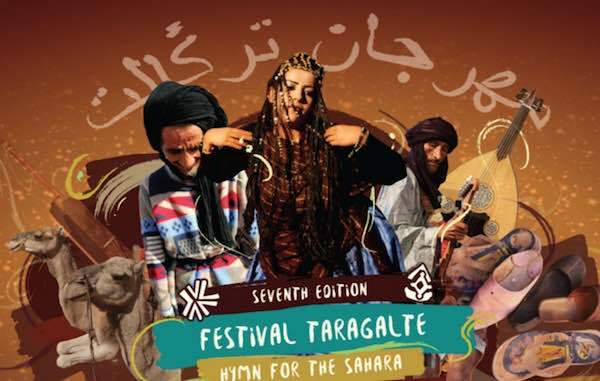 A three-day event under the glittery stars of the Sahara Desert, Taragalte Festival celebrates peace and nomadic culture. Enjoy music, chill out on the dunes, and dance under the desert moon. In addition, join many in interesting discussions on stability, environmental safety, and peace. 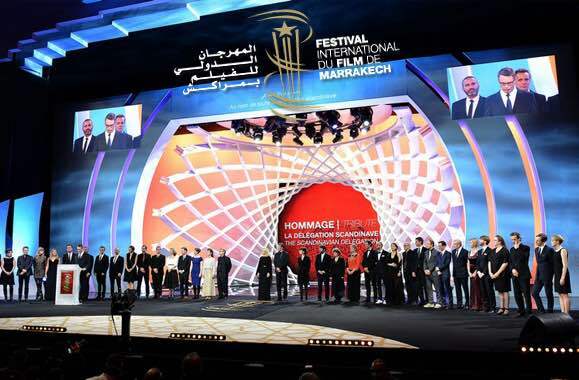 A work-class festival that promotes the best of African and Arabic cinema as well as some European and Asian films, The Marrakech International Film Festival is a must-attend for filmgoers and cinephiles. Films shown range from comedy to tragic to conscious flicks that address current cultural and sociopolitical issues. The festival entails movie screenings, premiers, and master classes. Moreover, underground filmmakers can participate in a film competition judged by film celebrities—both local and international.